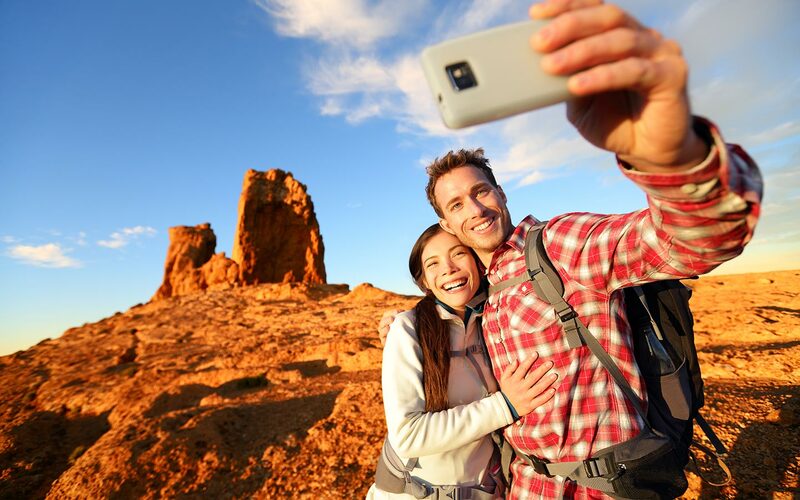 Discover the top things to do in Santa Fe, New Mexico! 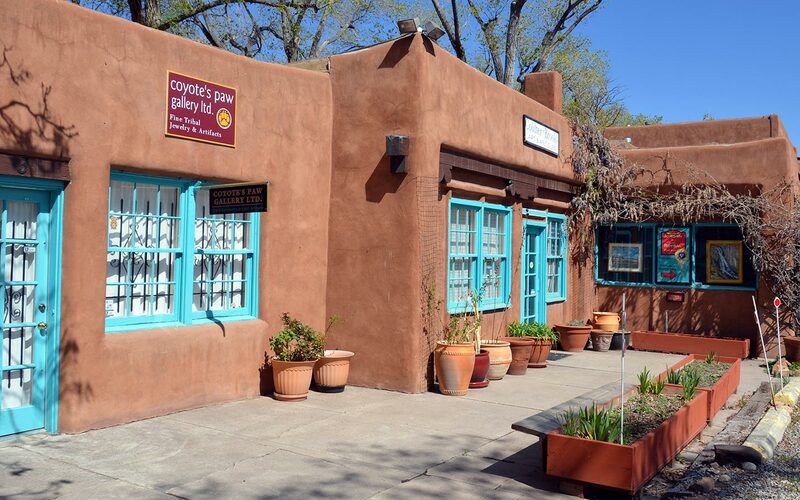 From its rich history and the wonderful activities, there is much to do in and around Santa Fe. All 1 - 31 Ski Santa Fe. A 660 acre downhill ski and snowboard area located 16 miles from the city of Santa Fe, NM. 77 trails, 20% beginner, 40% intermediate, 40% advanced. With breath taking views, there is something for everyone at Ski Santa Fe. Fri 11 Santa Fe Winter Brew 2018. The New Mexico Brewer's Guild is back with their 8th annual Winter Brew Fest. Some of our favorite breweries from across the state will be pouring their best brews. Farmers Market, Railyard. All 1 - 28 Ski Santa Fe. A 660 acre downhill ski and snowboard area located 16 miles from the city of Santa Fe, NM. 77 trails, 20% beginner, 40% intermediate, 40% advanced. With breath taking views, there is something for everyone at Ski Santa Fe. Sat 2 SOUPER BOWL XXV. This Santa Fe favorite and fundraiser returns for its 25th year. Sample unlimited mouth-watering soups from your favorite local chefs as they compete for best soup in four categories—Cream, Savory, Seafood, & Vegetarian—plus the coveted “Best Soup.” Santa Fe Convention Center. Wed - Sun 13 - 17 Santa Fe Film Festival. This four-day film buff's dream screens films from around the globe and hosts panels, workshops and other festivities. Various venues. Fri-Sun 22 - 3 Santa Fe Restaurant Week: Celebrating their 10th year, take an edible tour of Santa Fe during Restaurant Week. These 10 days only, our award-winning restaurants offer multi course gourmet meals for as little as $20 per person. As a Lodging Partner of Santa Fe Restaurant Week, we will have a Restaurant Week Special. Many venues. TBA TBA Ski Santa Fe presents BREWSKI 2018! Seven local breweries pouring delicious local craft beer at Ski Santa Fe's mountain pub: Totemoffs . Music provided by Soul Foundation. You do not have to buy a lift ticket, you can walk up to Totemoff’s from the parking lot. Fri-Sun 1 - 3 Santa Fe Restaurant Week: Celebrating their 10th year, take an edible tour of Santa Fe during Restaurant Week. These 10 days only, our award-winning restaurants offer multi course gourmet meals for as little as $20 per person. As a Lodging Partner of Santa Fe Restaurant Week, we will have a Restaurant Week Special. Many venues. All 1 - 31 Ski Santa Fe A 660 acre downhill ski and snowboard area located 16 miles from the city of Santa Fe, NM. 77 trails, 20% beginner, 40% intermediate, 40% advanced. With breath taking views, there is something for everyone at Ski Santa Fe. Fri 1 Performance Santa Fe Presents Delfeayo Marsalis with the Uptown Jazz Orchestra. The trombone-playing member of the current generation of Marsalis jazz musicians, assembled a best-of-the-best jazz orchestra 10 years ago. Their sound is decidedly modern, but firmly rooted stylistically in the rich jazz history of New Orleans.. Lensic Performing Arts Center. Sat & Sun 2 & 3 ARTsmart's Art of Home Tour. Do you love art? Do you love to tour homes? ARTsmart’s Art of Home Tour is what you’ve been looking forǃ Tour up to 15 remarkable residences, artfully appointed. Each home is filled with art from Santa Fe galleries, covering the gamut of artful living in The City Different. The homes are for sale and so is the artǃ. Various Locations. Thu 7 Performance Santa Fe Presents DANÚ. It’s often been said everyone’s Irish on St. Patrick’s Day, but perhaps the reality is that everyone’s Irish when listening to Irish music. The musicians of Danú, whether they’re singing in Irish or English, blend beautifully crafted vocals with the unmistakably Irish sounds of flute, tin whistle, fiddle, uilleann pipes (Irish bagpipes), button accordion, and bodhrán (hand-held, Irish drum).. Lensic Performing Arts Center. Sat & Sun 9 & 10 Santa Fe Pro Musica Presents Music Without Borders. Mirrors and memories of the world. Lina Gonzalez-Granados, conductor featuring Christine Lamprea, cello perform Villa-Lobos Sinfonietta No.1, "In Memory of Mozart", Arturo Marquez Espejos en la Arena for Cello and Orchestra and Beethoven Symphony No. 6 in F Major, Op. 68, "Pastoral". Lensic Performing Arts Center. Sun 17 Santa Fe Symphony Presents Mozart, Adams, and Dvořák. Join Maestro Guillermo Figueroa as he takes us through Adams’s “Foxtrot for Orchestra,” Mozart’s masterful Piano Concerto No. 20, featuring pianist Drew Petersen, winner of the 2017 American Pianists Awards and Dvořák’s magnificent Symphony No. 7. Lensic Performing Arts Center. Fri 29 Performance Santa Fe Presents HAVANA CUBA ALL-STARS: ASERE!. This energetic celebration of Cuban culture promises an evening of irrepressible, enveloping sound and movement. Quiet contemplation is neither required nor recommended.. Lensic Performing Arts Center. Sun 31 Performance Santa Fe Presents: Emanuel Ax. Emanuel Ax makes standard piano repertoire sound fresh and new, so also does he play musical premieres as though he’s known them for a lifetime. The winner of seven Grammy Awards, Ax is in demand as a soloist with the world’s major orchestras, and as a recitalist in far more intimate settings. Lensic Performing Arts Center. Sun 7 New Mexico Performing Arts Society Presents: Bach Society Concert. The 2019 New Mexico Bach Society Concerts feature Steinway Artist Jacquelyn Helin, violinist David Felberg and flutist Linda Marianiello in Bach’s Brandenburg Concerto No. 5. Selections from the St. Matthew and St. John Passions and a motet highlight the vocal artistry of New Mexico’s own Bach Chorale. Lensic Performing Arts Center. Sun 14 Santa Fe Symphony presents Brahms's Requiem. Under the baton of renowned Guest Conductor Dante Anzolini, The Symphony Orchestra will perform works by two of our greatest composers! Mozart’s Symphony No. 29 in A Major, K. 201, and Brahms’s Ein deutsches Requiem, “A German Requiem.” Lensic Performing Arts Center. Thur - Sat 18 - 20 Baroque Holy Week at the Loretto Chapel: A Santa Fe Holy Week tradition.Pro Musica Baroque Ensemble including Inn owner David Solem on organ, Stephen Redfield, violin and leader, Clara Rottsolk, soprano and Meg Bragle, mezzo-soprano performs Pergolesi Flute Concerto in G Major, P. 33 and Pergolesi Stabat Mater, P. 77. Loretto Chapel. Fri - Sun 19 - 21 Santuario de Chimayo Pilgrimage: One of the most important pilgrimage sites in North America. Every year during Holy Week, as many as 30,000 pilgrims embark on a journey walking to the Santuario de Chimayo. Sat - Mon 20 - 22 CineFesta Italia: Italian Film Festival. Celebrate Italian film, food and funǃ The Festival schedule features a curated selection of the latest and greatest Italian films. Jean Cocteau Cinema. Sat & Sun 27 & 28 Santa Fe Pro Musica Orchestra Presents East meets West. Resilience in the face of adversity. Gemma New, conductor featuring Francisco Fullana, violin perform Arvo Part, Trisagion; Prokofiev Violin Concerto No. 2 in G Minor, Op. 63; and Beethoven Symphony No. 2 in D Major, Op. 36. Lensic Performing Arts Center. Sat & Sun 27 & 28 Contemporary Clay Fair. More than 30 artists sell their fine pottery and unique clay art. You'll see an impressive array of both functional and whimsical pottery as well as other clay pieces at this free event. Santa Fe Women's Club. Fri 10 Performance Santa Fe Presents - Emerson String Quartet The group is known for a broad palette of tonal colors, and for the musical sensitivity and technical ability to seamlessly match those sounds, from instrument to instrument, in breathtakingly fine chamber playing.. Lensic Performing Arts Center. Sat 11 Santa Fe Japanese Cultural Festival Immerse yourself in Santa Fe's Japanese community at its annual festival. Enjoy a fun-filled day featuring stage performances and activities reminiscent of the festivals of Japan. Visit many specialty vendors and enjoy traditional festival street food. Community Convention Center. Sat & Sun 11 & 12 Canyon Road Spring Art Festival Experience the world of art on Canyon Road during a day filled with music, food and fine art. The day begins with the Artist Quick Draw and continues with silent auctions, artistic demonstrations and entertainment. Dozens of artists working in every imaginable media will provide an unprecedented view of their creative processes. Canyon Road. Sat & Sun 18 & 19 Santa Fe Symphony presents Berlioz Festival. In honor of the 150 year anniversary of Hector Berlioz, our Season Finale takes on his work in a grand epic of his most celebrated compositions! Rêverie et Caprice, op.8 for Violin & Orchestra with Guillermo Figueroa, Violin; La mort de Cléopâtre featuring Rebecca Robinson, Mezzo Soprano and Symphonie fantastique op. 14. Lensic Performing Arts Center. Sun 19 Santa Fe Century Ride: A hundred miles of history pass under your wheels as you bicycle down the ancient Turquoise Trail through the old mining towns of Madrid and Golden, villages and mountain passes and 100 miles after you start, wheel back into Old Santa Fe. Join us for our 34th annual ride! Fri - Sun 24 -26 Native Treasures Indian Arts Festival: More than 200 Native American artists sell their museum-quality work in this weekend festival celebrating 14 years this year. Santa Fe Convention Center. Fri 31 Performance Santa Fe Presents - Los Angeles Master Chorale: Lagrime di San Pietro Through the visionary mind of director Peter Sellars, 21 singers transform Renaissance composer Orlando di Lasso’s final work into a powerful theatrical performance. The versatile chorus is known for deft handling of contemporary works and for the sonic purity and musical finesse to perform early music, including the 20 sacred madrigals and concluding motet of Lagrime di San Pietro (Tears of St. Peter). Lensic Performing Arts Center. Sat & Sun 2 & 3 Spring & Fiber Fest: Learn about the people, goods and livestock that came and went on the arteries of the Southwest. Also, experience traditional ranch activities like sheep shearing, wool dyeing, spinning and weaving. Plus a fiber arts marketplace, bread baking and crafts for children. El Rancho De Las Golondrinas - The Southwest's Premier Living History Museum. Wed 13, 20 ,27 Music on the Hill: St. John's College presents its annual free concert series on the college's athletic field. Continues Wednesday evenings through July. St. John's College. Sat-Sun 16 - 17 Santa Fe Studio Tour: The Santa Fe Studio Tour 2018 is a free, self-guided tour open to the public that winds throughout Santa Fe featuring 37 open studios and the work of 76 Santa Fe artists. Many artists give demonstrations of their craft and share techniques and philosophies with visitors. Sat & Sun 16 & 17 Herb & Lavender Fair: Herb garden tours, lavender and herb product vendors, lectures on cultivating lavender and hands-on activities. El Rancho De Las Golondrinas - The Southwest's Premier Living History Museum. Wed-Sat 20 - 23 69th Annual Rodeo de Santa Fe: Buckin’ broncos, horse barrel races, a carnival and an array of food all contribute to this annual rodeo, which practically requires cowboy boots and a Stetson hat. This is a great family event, with a Mutton Busting Contest for the kiddies. Rodeo Grounds. Sat - Sun 23 - 24 Santa Fe Studio Tour: The Santa Fe Studio Tour 2018 is a free, self-guided tour open to the public that winds throughout Santa Fe featuring 37 studios and the work of 76 Santa Fe artists. Many artists give demonstrations of their craft and share techniques and philosophies with visitors. Daily 21 - 30 Santa Fe Bandstand: The 2018 season of Santa Fe Bandstand begins June 21 and closes on August 11. More local, regional and national bands than ever. 100 total shows. Sun 24 Santa Fe Greek Festival: Our annual Greek Festival presents music, dancing and a silent auction, along with Greek food, pastries and beer & wine. Railyard: Tomasita's Parking Lot. Sat 30 Santa Fe Pride: Come and celebrate with Santa Fe’s LGBT community in its annual celebration of LGBT pride. The Advocate magazine named Santa Fe the second gayest city in the country, and the annual Pride celebration reveals the strong ties of this community. Santa Fe Plaza. Sat - Sun 30 & 1 Santa Fe Wine Festival: Sample delicious New Mexico wines, buy directly from the vintners and enjoy food, music and arts & crafts. El Rancho De Las Golondrinas - The Southwest's Premier Living History Museum. Sun 1 Santa Fe Wine Festival: Sample delicious New Mexico wines, buy directly from the vintners and enjoy food, music and arts & crafts. El Rancho De Las Golondrinas - The Southwest's Premier Living History Museum. Daily 1 - 31 Santa Fe Bandstand: The 2018 season of Santa Fe Bandstand begins June 21 and closes on August 11. More local, regional and national bands than ever. 100 total shows. Wed 4 Fourth of July on the Plaza: The day’s festivities include a cool car show, art and craft vendors and plenty of live entertainment. The event brings out the locals, who get to visit with family and friends and celebrate the holiday, which culminates with an evening fireworks show at the Santa Fe High School. Daily 11 - 30 New Mexico Jazz Festival: Both local talent and jazz legends, from saxophonists to vocalists, hit the stage in celebration of the genre. Various venues. Wed 11 ,18, 25 Music on the Hill: St. John's College presents its annual free concert series on the college's athletic field. Continues Wednesday evenings through July. St. John's College. Sat 14 Aspen Santa Fe Ballet: Start your summer of dance off on the right foot with an unforgettable evening of contemporary ballet featuring a world premiere by rising star choreographer Bryan Arias in his ASFB debut. Be there when three clever choreographic voices come together in one magical evening! Lensic Performing Arts Center. Sat & Sun 14 & 15 Lavender Festival: A weekend of celebrating agriculture in the region. Purple Adobe Lavender Farm, Abiquiu. Daily 15 - 31 Santa Fe Chamber Music Festival: The Santa Fe Chamber Music Festival has become one of the world's preeminent music festivals, guided by a visionary spirit and dedicated to artistic excellence and innovation. Various locations. Sat & Sun 21 & 22 The 11th Annual ¡Viva México! Fiesta Celebrate the music, culture, food and art of Mexico. Re-discover our neighbor to the south as you listen to mariachis, shop in the Mercado and eat delicious food prepared by local Mexican chefs. Shared histories and cross-cultural influences are undeniable at Viva Mexico.. El Rancho De Las Golondrinas - The Southwest's Premier Living History Museum. Tues 24 Aspen Santa Fe Ballet presents Pilobolus: Continually testing the limits of human physicality, Pilobolus brings an evening of diverse and surprising repertoire to Santa Fe. Part Darwinian investigation, part love story, Symbiosis sweeps viewers away in an emotional duet. Lensic Performing Arts Center. Fri 27 Best of Santa Fe Block Party: The Santa Fe Reporter presents the best of Santa Fe with winning food, drink, and other local vendors. The Railyard. Sat & Sun 28 & 29 Contemporary Hispanic Market Arts & Crafts: Contemporary arts & crafts made by Hispanic artists living in New Mexico. Sat & Sun 28 & 29 Traditional Spanish Market: A popular event for residents and visitors alike, The 67th Annual Spanish Market features handmade traditional art from hundreds of local Hispanic artists, as well as on-going live music and dance, art demonstrations, and regional foods throughout each day. Daily 1 - 11 Santa Fe Bandstand: The 2018 season of Santa Fe Bandstand begins June 21 and closes on August 11. More local, regional and national bands than ever. 100 total shows. Daily 1-20 Santa Fe Chamber Music Festival: The Santa Fe Chamber Music Festival has become one of the world's preeminent music festivals, guided by a visionary spirit and dedicated to artistic excellence and innovation. Various locations. Sat & Sun 4 & 5 La Panza Llena: New Mexico Food Fest. Explore the food history of New Mexico at El Rancho de las Golondrinas. Step back in time, as you taste your way through the history of the Land of Enchantment. Experience historic methods of food preparation, learn from food historians, attend workshops, sample delicious locally made creations and find something special from our vendors and artisans. El Rancho De Las Golondrinas. Sat & Sun 4 & 5 Girls Inc. Arts & Crafts: Juried show arts and crafts at Santa Fe Plaza. Sun TBA Bon Odori Japanese Folk Fest: Japanese folk dancing and music festivle. The Railyard Park. Sun 12 & 19 Opera Apprentice Showcase: Santa Fe Opera Apprentice singers present fully staged opera scenes at the Santa Fe Opera. Showcasing opera stars of tomorrow. Not to be missed!. Fri & Sat 17 & 18 Indigenous Fine Art Market: A celebration of Native Arts & Cultures That Inspire it. Art, Music, Food & Fun. The Railyard. 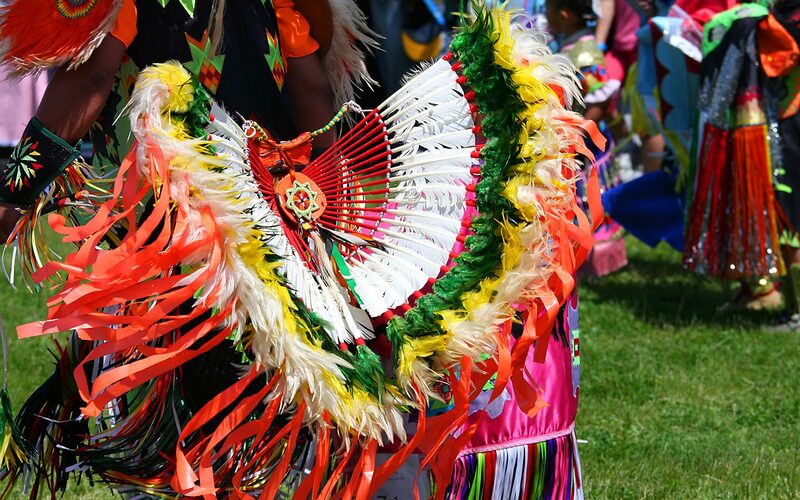 Sat-Sun 18 & 19 Santa Fe Indian Market: This spectacular festival is celebrating its 97th year. Santa Fe Indian Market attracts international visitors from all walks of life. For many visitors, this is a rare opportunity to meet the artists and learn about contemporary Indian arts and cultures. Sat-Sun TBA The Zuni Show: See the very best work by more than 80 Zuni artists. Presented by the Keshi Foundation. Scottish Rite Temple. Sat 1 Aspen Santa Fe Ballet presents An Evening with Joyce Yang: Enjoy a special encore of this milestone evening of live piano and dance that wowed sold-out audiences in its winter premiere! At the center of this program is the world-renowned pianist Joyce Yang, a Van Cliburn International Piano Competition silver medalist. Lensic Performing Arts Center. Sat & Sun 1 & 2 Outside Magazine Bike & Brew: Outside Magazine and Cycle Santa Fe present the 4th annual Bike & Brew Festival, a three day celebration of craft beer culture and exceptional road and mountain biking in beautiful Santa Fe. You might say Santa Fe is a brew town with a biking problem! Sat-Mon 1 - 3 Santa Fe Fiestas Fine Art & Crafts Market: A juried show of arts-crafts. Santa Fe Plaza. Sat 1 Mariachi Extravaganza de Santa Fe: Swirling dresses, stamping feet and ringing trumpets welcome participants to a passionate musical experience of traditional, contemporary and classical tastes. The piñon studded hills at The Santa Fe Opera set the stage for an extraordinary sunset and the vivid color, joyous sound and sheer cheer of internationally known award-winning artists and rising stars in the genre of mariachi. Santa Fe Opera. Sun 2 Fiesta de los Niños: La Vida Vieja. a day of interactive family activities that celebrate water! Roam around the ponds, creeks and acequias that give life to our historic site as you have fun with, and learn about, this precious resource. Also encounter animals that populate the southwest and who, like us, depend upon water. Wander the grounds and meet costumed volunteers who will tell you about “La Vida Vieja. El Rancho De Las Golondrinas. Fri-Sun 7 -9 Fiestas De Santa Fe: Over 300 years old, Santa Fe's biggest celebration is a ten-day series of bailles, processions, parades, and musical performances, various venues. Sat-Sun 15 & 16 11th Annual Santa Fe Renaissance Fair: Clan tynker and medieval combat, jugglers, live entertainment and dancers...also vendos, kids' games and delicious food, drinks, beer & mead. El Rancho De Las Golondrinas. Sat & Sun 15 & 16 Pecos Studio Tour: Drive just 20 minutes from Santa Fe to the peaceful, picturesque village of Pecos, where you can visit with about 20 artists in their open studios. You'll see paintings, ceramics, tinwork, jewelry, wearable art and more. 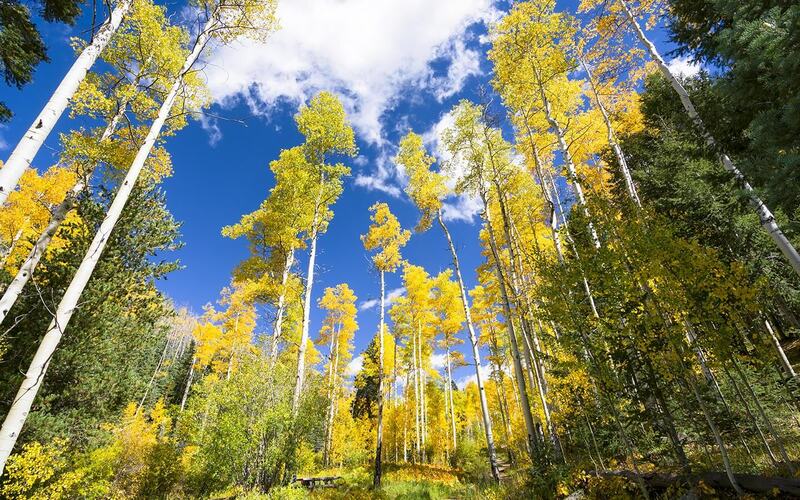 Sat-Sun 22 & 23 High Road Studio Tour: Enjoy the crisp air, the colors of fall and the beauty of artworks at over 70 High Road Artisan galleries and studios along the High Road to Taos. Wed - Sat 26 - 29 Santa Fe Wine & Chile Fiesta: The Wine Event with all the Great Santa Fe Restaurants beckons you to spend a glorious Fall afternoon at The Santa Fe Opera, featuring tastes from 80 of Santa Fe's finest restaurants and sips from 100 world-class wineries. The most fun you can have with a wine glass. Thu 27 Aspen Santa Fe Ballet presents Nrityagram Dance Ensemble: In a magnificent blending of cultures, India’s acclaimed Nrityagram Dance Ensemble presents its stunning collaboration with Chitrasena Dance Company from Sri Lanka: Samhära. Lensic Performing Arts Center. Sat-Sun 29 & 30 High Road Studio Tour: Enjoy the crisp air, the colors of fall and the beauty of artworks at over 70 High Road Artisan galleries and studios along the High Road to Taos. Sat - Sun 6 - 14 Albuquerque International Balloon Fiesta: Each fall, pilots, crews and spectators from all over the world come to the Albuquerque balloon festival, known as the Albuquerque International Balloon Fiesta®, the world's largest hot air ballooning event. Sat & Sun 6 & 7 Harvest Festival: Each year, El Rancho de las Golondrinas, the living history museum devoted to Spanish Colonial life, hosts the Harvest Festival, which provides visitors with the opportunity to help bring in the harvest as they crush grapes with their feet to produce wine, string chile ristras and grind sorghum with the assistance of burros. Feast on bizcochitos baked in an horno and tortillas cooked on a comal. Purchase arts and crafts from area vendors and enjoy live music. Sat - Mon 6 - 8 Abiquiu Studio Tour: More than 70 artists welcome visitors to their studios in this annual tour. You'll see paintings, weavings, furniture, traditional Spanish Colonial art and much more as you explore the gorgeous place where Georgia O'Keeffe once lived and worked. Sat & Sun 13 & 14 Galisteo Studio Tour: Visit this once a year event where over 30 local artists open their private studios to the public. A free event, much of it walkable through our historic adobe village. All disciplines and media. Galisteo. Wed - Sun 17 - 21 10th Annual Santa Fe Independent Film Festival: The festival brings cutting-edge programming, the latest independent films and directors, Native cinema, New Mexico films, student films, and masters discussions with top directors, writers, and artists, all in the setting of downtown Santa Fe. Thur - Sun 18 - 21 Review Santa Fe International Photography Festival: Review Santa Fe offers photographers, photo enthusiasts, collectors, and the public a spectacular showcase of outstanding photographic talent from around the globe and an array of exhibitions and talks. A Friday evening portfolio viewing of the work of 100 photographers offers a rare opportunity to browse portfolios and speak with the artists. More than 40 leading reviewers will attend, including photo professionals from The New Yorker, MSNBC, and The Museum of Contemporary Photography. Various Venues. Sat 27 Spirits of New Mexico’s Past: A Halloween Event. Meet the ghosts of history who lived and died in the land of enchantment! Step back in time and encounter a diverse assortment of characters from New Mexico’s illustrious and often little known past. Listen to their amazing stories and experience intriguing bygone events. Lit by lantern light and campfires, our wondrous historic site takes on a family-friendly but spooky Halloween atmosphere. El Rancho De Las Golondrinas. Thu 22 Ski Santa Fe Opens A 660 acre downhill ski and snowboard area located 16 miles from the city of Santa Fe, NM. 77 trails, 20% beginner, 40% intermediate, 40% advanced. With breath taking views, there is something for everyone at Ski Santa Fe. Fri 23 Christmas Tree Lighting on the Plaza: Enjoy hot chocolate and caroling as the historic downtown plaza is lit up in Christmas splendor with lights and holiday decor. Fri 30 Recycle Santa Fe Art Festival. From trash to treasures, this show is all about upcycling to make one-of-a-kind items. In addition to the reclaimed / recycled art market, this event includes a Trash Fashion & Costume Contest. Runs Fri - Sun Nov 30 - Dec 2 at the Convention Center. Sat & Sun 1 & 2 Recycle Santa Fe Art Festival. From trash to treasures, this show is all about upcycling to make one-of-a-kind items. In addition to the reclaimed / recycled art market, this event includes a Trash Fashion & Costume Contest. Convention Center. Sat & Sun 1 & 2 Young Native Artists Winter Show: Begin collecting art, jewelry, pottery and more from the next generation of Native American artists and craftspeople at the annual Young Native Artists Winter Show. Children and grandchildren of artists associated with the Palace of the Governors’ Portal Program will demonstrate and sell their own arts and crafts in the Meem Community Room. Free. Wed 5 New Mexico Gay Men's Chorus: Peace on Earth Holiday Concert. Don't miss this cheerful sound of the holidays. Lensic Performing Arts Center. Fri 7 Christmas at the Palace: Santa Fe’s beloved Christmas at the Palace brings the community and visitors together for an evening of hot cider, cookies, live music, piñatas, craft-making activities and the visit of Mr. and Mrs. Claus -- all in the legendary magic of the Palace of the Governors. A free, family event. Sun 9 Las Posadas: The annual candle-lit procession of Las Posadas travels around the Santa Fe Plaza and concludes in the Palace Courtyard. This version of an old Hispanic tradition recreates Mary and Joseph’s search for a place to give birth to the Baby Jesus—and throws in a few devils for good measure. Stay for carols, cookies and hot cider in the Palace Courtyard. Free. Santa Fe Plaza. Free. All 14 - 31 GLOW: Artful illumination of nature at Santa Fe Botanical Gardens. One of the most unique lighting shows in Santa Fe! GLOW features thousands of lights all aglow throughout the Botanical Garden, including their newest garden section, Ojos y Manos. Mon 24 Christmas Eve Farolito Walk: One of Santa Fe's most beloved holiday traditions, the Farolito Walk, lights up the hearts & souls of visitors to Canyon Road each holiday season.